Jyothika also said that one should live life to the fullest as we have only one life. Actress Jyothika is arguably one of the most popular names in Southern cinema today. She is held in high regard thanks to her good looks, elegant personality and impressive performances Moreover, she is regarded as an inspiration courtesy her successful personal life. 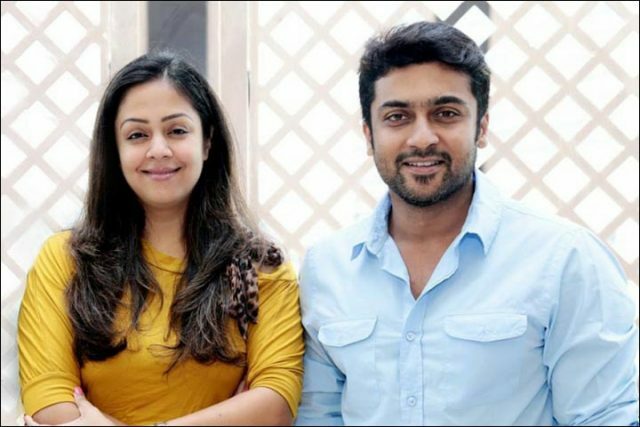 Jyothika is married to Tamil superstar Surya. And, needless to say, everything about this couple is perfect. Now, Jo is back in the limelight again. During a recent award function, she touched upon her personal life and thanked her mother in law for raising a prince like her hubby Suriya. She went on to add that her mother in law was truly a queen. Besides this, she shared her take on life and said that one must live life to the fullest as You Live Only Once. “Fall in love. But also rise in love. God has given us one life. Let’s live it, let’s conquer it, and let’s own it because it is ours,” she added. Well, this quite a nice philosophy and proves that Jyothika is one intelligent person. On a related note, Jyothika was last seen in ‘Magalir Mattum’ and impressed us with her performance. Directed by Bramma, it revolved around some friends who go on a trip despite their busy lives. Besides Jyothika, it also featured Urvashi and Bhanupriya in the lead.The supporting cast included names like Nassar and Livingstone. At present, Jo has a film with Mani Ratnam in her kitty. So, did you like Jyothika’s comments about her mother in law? Tell us in the space below. Jothika looks like a person with downs syndrome. all she does is praise her husband and family throughout all the award functions. can’t she talk about her work rather than discussing her family relationships all the time?? Could she for once stop praising her husband and her husbands family?